It all started with sunscreen. 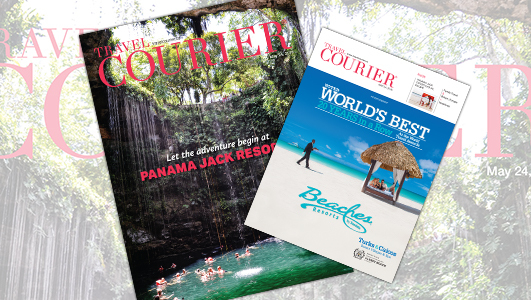 Since launching in 1974, Panama Jack’s product line has evolved to include sunglasses, clothing, hats, bags, accessories and more, reports assistant editor, Ann Ruppenstein in this week’s digital edition of Travel Courier. But today, thanks to a partnership with Playa Hotels & Resorts, the brand has taken part in an even bigger evolution by stepping into the all-inclusive resorts market in Cancun and Playa del Carmen. “Last year Panama Jack and Playa made a fusion and since then we created the new brand of Panama Jack Resorts,” explains Matias Klein, general manager of Panama Jack Resorts Cancun. With 458 rooms including new swim-out suites with an infinity pool, Panama Jack Resorts Cancun is the very first Panama Jack branded hotel in the world. Although the property, formerly the Gran Caribe Cancun had its soft opening in December after undergoing multi-million dollar renovations, additional upgrades are still underway this year. In addition to new bars and a renovated restaurant, one of the latest additions is Panama Jack Coffee Co., which serves up coffee and baked goods to grab and go. Although the look has changed, he says it’s the people who set the resort apart.